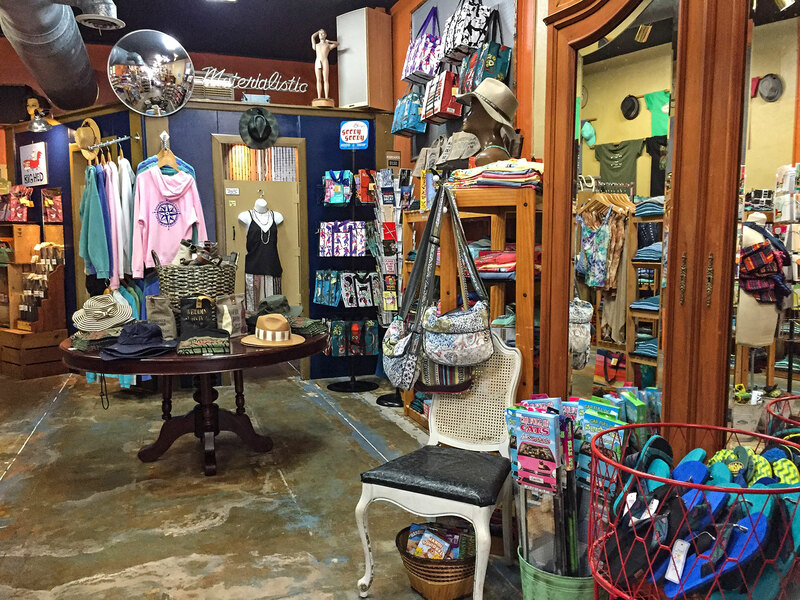 Materialistic is a shop carrying an eclectic and entertaining mix of items. 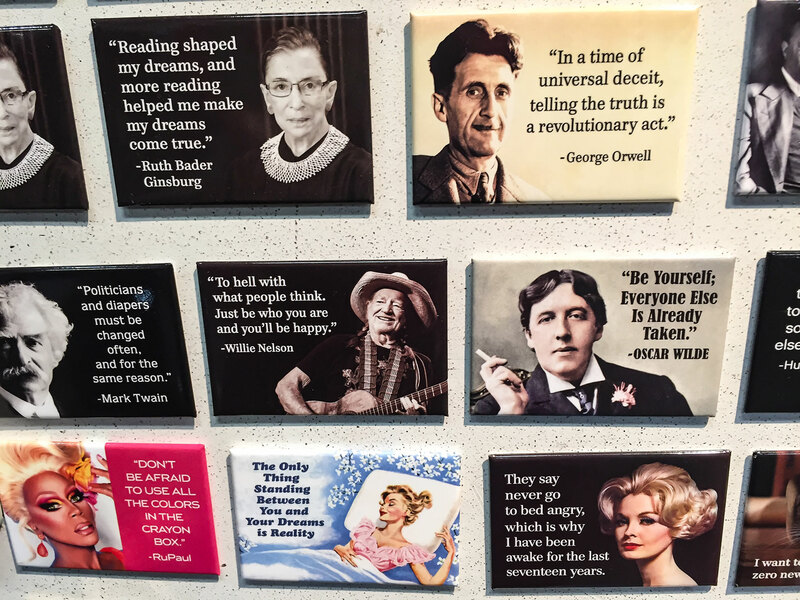 You'll find unique souvenir screen print t-shirts that can't be found anywhere else in town, but you'll also find novelty socks, a squirrel in underpants air freshener, and inspirational magnets with quotes from the likes of RBG and George Orwell. The shop is easy to recognize by its bizarre window display. Tourists can be found having photographs taken in front of it before entering to explore the St. George Street shop. The shop is abounding in novelty and carries the odd PG-13 item (usually only related to foul languaga, marijuana, or toilet humor). But with novelty also come plenty of souvenir items for vacationers and children's apparel. 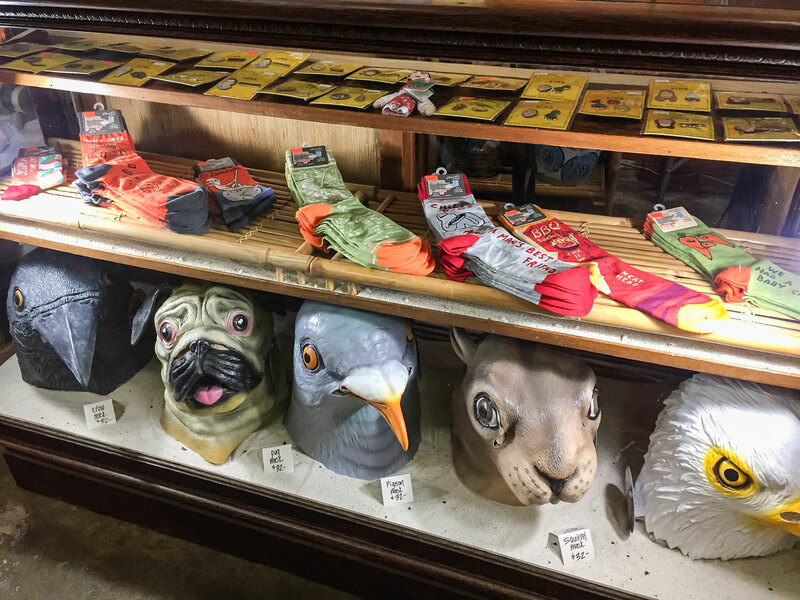 A counter at Materialistic is filled with items of jewelry, enamel pins, some of the more popular socks with bold statements and jokes stitched in them, and of course, strange animal masks of horses, pigeons, pugs, and eagles. It's not an opinion to say that there is no store like this one--it's a fact. 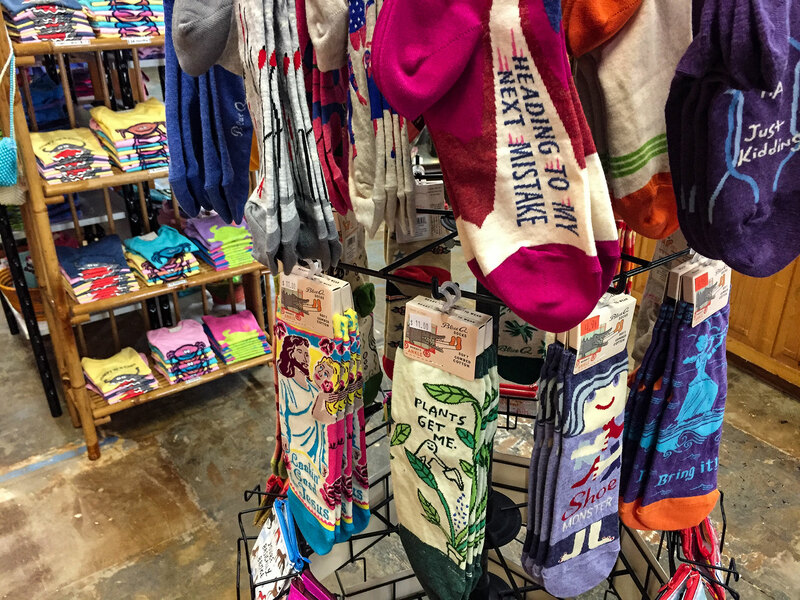 Even if you come in to buy a pair of sunglasses, it's hard to not spend an additional amount of time looking at oven mittens for snarky cooks and gift mugs with elements that disappear or appear when filled with hot liquids. 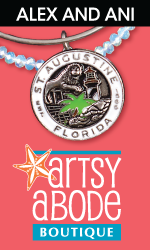 One of the most iconic things found at Materialistic are their St. Augustine screen t-shirts. The shirts have unique designs that can't be found anywhere else. The coordinates of the town, sailboats, nautical flags, and etched images are just a few of the unique designs displayed on their shirts. Long sleeve and short sleeve shirts are available. Be the first to Review Materialistic!